The sooner you can get to the spill the better. Your carpet’s fibers are notorious for quickly sopping up everything you spill on it, the faster you can start to treat it, the better. Take a white paper towel and gently blot, don’t rub (that’ll just push the stain deeper into your carpet), the stain and absorb as much of the spill as you can. Move from the outside to the inside of the spill, this will prevent the spill from spreading. If you have to use a towel or dishrag, make sure to use a white one as color can transfer to your carpet in the blotting process. Once you’ve pulled up as much of the spill as you can, use a carpet cleaning solution on the area. If the solution is a spray, make sure to spray outside of the affected area as well. Spills and stains are a lot like icebergs; there’s more going on under the surface then you might be able to see. If you’re treating an existing stain, it’s undoubtedly spread out at the bottom of your carpet so make sure you treat the outlaying area as well. 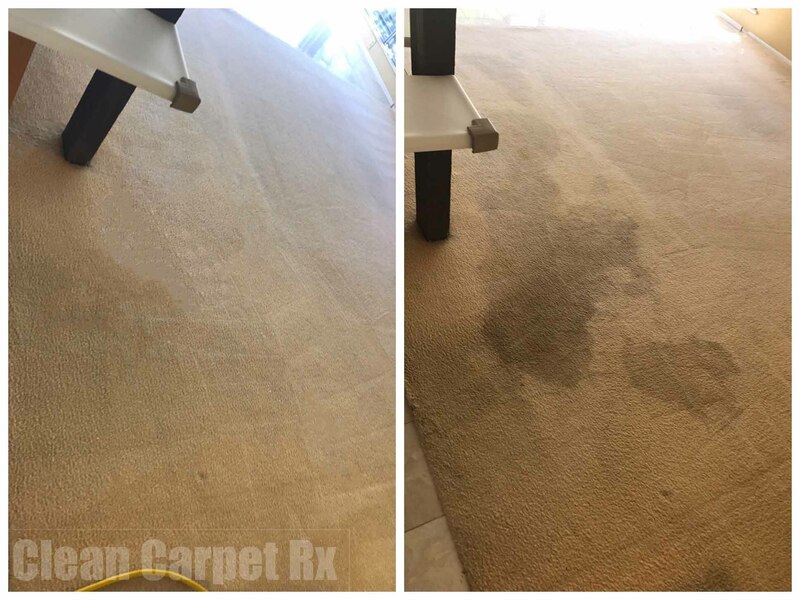 If your solution is not a spray, make sure to apply the product the same way you absorbed the spill, blotting the solution into the carpet. • Follow the directions on your solution for duration, amount, and dry time. Once finished, make sure to let the area dry completely before use. With a bit of calculated foresight on your behalf, coupled with a quick response, you’ll be ready to handle any carpet cleaning problem that pops up!